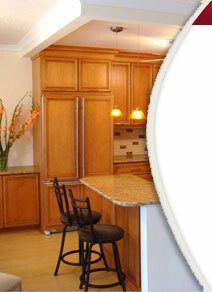 Phil's Custom Cabinet Inc. features quality products from some of the finest cabinet manufacturers in the nation. There is also a variety of counter tops to choose from such as granite, laminate and solid surface. Phil's Custom Cabinet Inc. takes satisfaction in offering informal product knowledge, top quality products and providing elegant yet functional designs that your family would love!